The small Office of Risk Management for King County, Washington, has a big job: resolving claims against King County resulting from bus accidents, items missing from the jail’s property room and other unfortunate occurrences. At times the staff’s work with claimants can be contentious. The staff of the Office of Risk Management needs—really deserves—a good team environment in the office to decompress from challenging interactions. However, the results of the 2015 King County employee engagement survey showed the team had a lot of work to do to create the type of great team dynamics that make for great places to work. 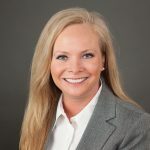 King County began its Lean journey in earnest a few years ago, prompted by the King County Executive’s vision of becoming “the best run government” using Lean and other business management practices to improve service delivery. To support the King County vision, the Office of Risk Management developed a vision, mission, values and a tier board in the summer of 2015. They were on their way to becoming a healthier organization. 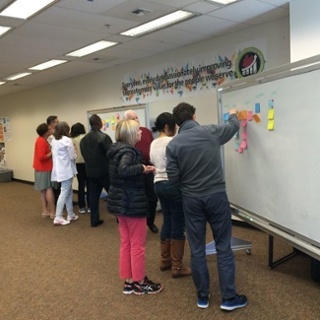 King County’s Office of Risk Management employees develop key goals and initiatives to reach their vision during a strategic management system session with Integris Performance Advisors. During an action-packed one-day retreat, the team crafted a list of key action items to move them forward in building a more trusting, cohesive team starting with establishing ground rules to encourage respectful, inclusive staff meetings. In May, the Risk Management team put their improved team dynamics to the test. With the goal of revising the vision, mission, and values and building out key goals and measures, the team once again pulled together. 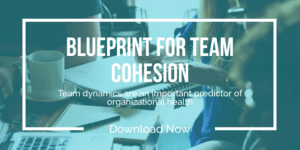 It was clear that the Five Cohesive Behaviors of a Team messages were still resonating, as the team chose to add the values of “teamwork” and “respect” to the previous list. At each level of their work, the focus on team dynamics was front and center. For instance, the team added “respect” and “teamwork” to their earlier list of values and one of the five top-level goals focused specifically on fostering “a culture of ongoing learning and employee development.” After two days of hard work, the team had another success under its belt, both in terms of work product and team process. Next up, the King County Office of Risk Management will build out an 18-month plan or “road map” to advance its Lean journey with a focus on the four pillars of operational excellence: customer focus, enterprise alignment, continuous improvement and intentional culture. The improved team behaviors will certainly pay dividends as the team works together to become an even healthier organization achieving ever greater results. King County in Washington is the 13th most populous county in the United States. King County as an organization has 13,000+ employees and an $10 billion biennial budget. Among other major priorities, King County Executive Dow Constantine has set a policy goal of being the best-run government in the United States by employing business practices like Lean management to deliver government services more efficiently. King County’s Office of Risk Management has 22 employees and a $60 million biennial budget. The division provides claims, insurance, enterprise risk management and contract review services.